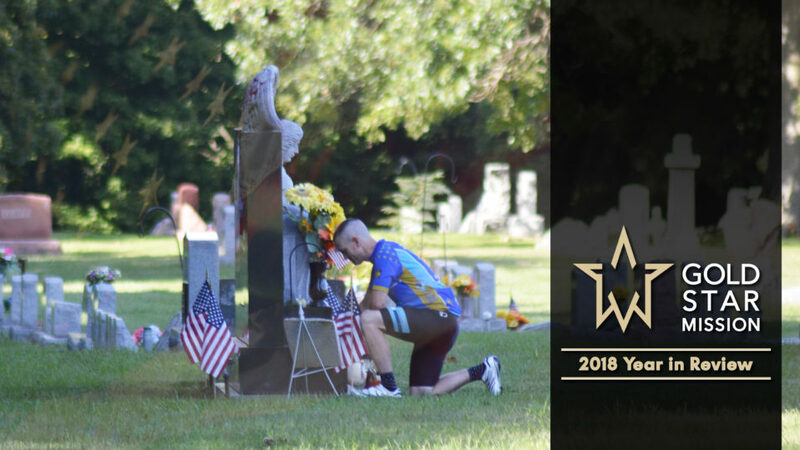 The Gold Star Mission 500 mile bike riders were greeted with the display of a large U.S. flag as they arrived at Bryan Memorial Park late Thursday afternoon. The riders started in Springfield and will end their ride there over the weekend for the Gold Star activities. 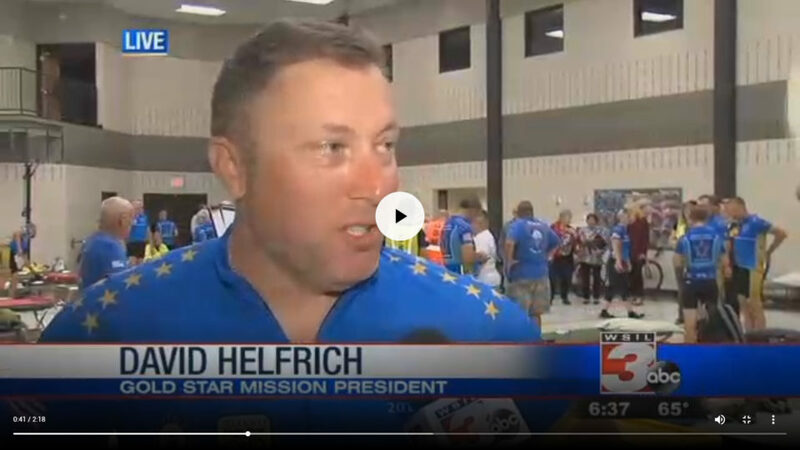 This is the second year for the 500 mile ride according to the Gold Star Mission Founder and President Dave Helfrich. Helfrich says there are always 34 riders who represent the 34 Illinois National Guard members who have lost their lives in combat. But he says the program honors those killed in all branches of the service. Helfrich notes those who agree to ride are not all in the best of shape. A moment of silence was held after Helfrich remembered those from the local area who had lost their lives. One of the riders is from Salem. Steve Dunahee is retired from the National Guard. He explained how the ride is structured. 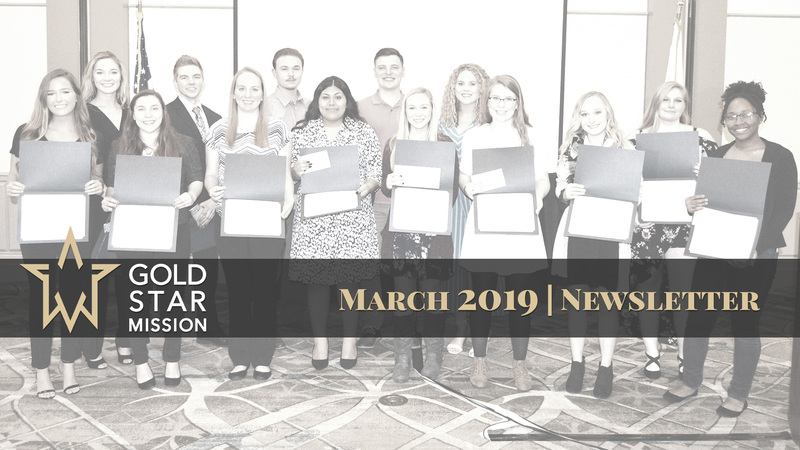 The Gold Star Mission provided 34 scholarships last year and expects to offer more this year.